Whoever gave basement laundry rooms the reputation for being dark and dreary caves didn't see this one! The narrow, but efficient, L-shaped design lacks windows, but still manages to be bright and cheery. 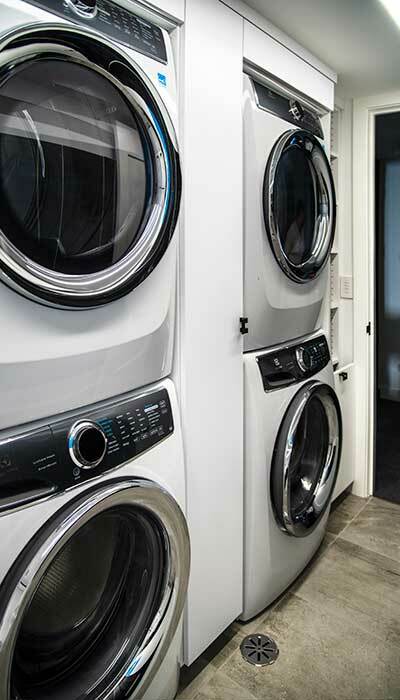 The white on white design evokes a sense of cleanliness appropriate for a laundry area, while reflecting as much light as possible. The white laminate, noted for the environmental friendliness of its components, was used in conjuction with an LED lighting system to keep the space as light as possible. Simple oil rubbed bronze hardware in an almost black finish completes the look. Modern, slab style door and drawer fronts complete the streamlined look and blend with the contemporary décor used throughout the home. 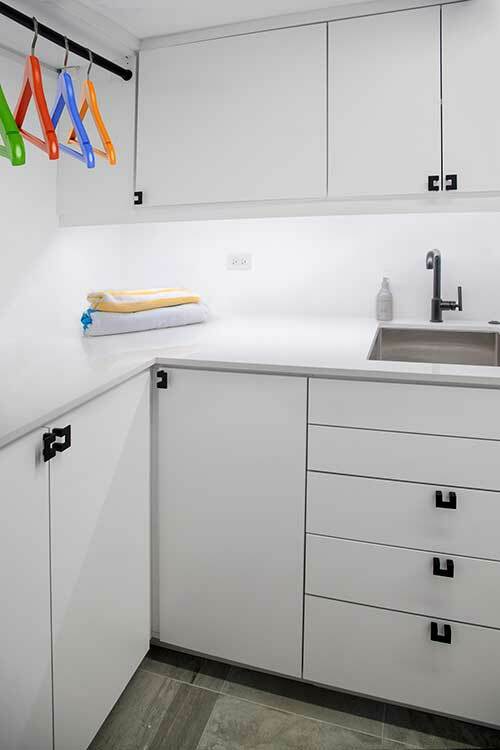 Even a long, narrow L-shaped basement laundry room with no windows can be bright and cheery. A white laminate material, selected for its environmentally friendly certification, was used to reflect as much light as possible. The under cabinet LED lighting in cool white was important for task lighting in the utility area. Although these cabinets appear white, they are actually "green." The cabinets are constructed from environmentally friendly ECC certified ultra low emitting laminate material. ECC is the Eco-Certified™ Composite Sustainability Standard for manufacturers of composite wood or agrifiber-based panels made with particleboard, medium density fiberboard (MDF), hardboard, engineered wood siding and engineered wood trim. 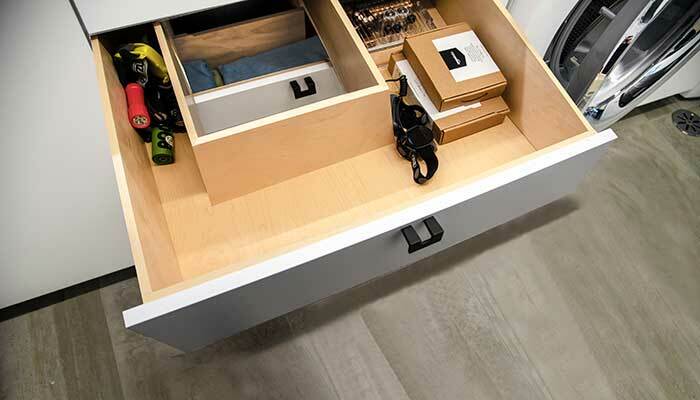 At first glance, the modern storage seems straightforward and uncomplicated, but in actuality, it is any thing but simple. 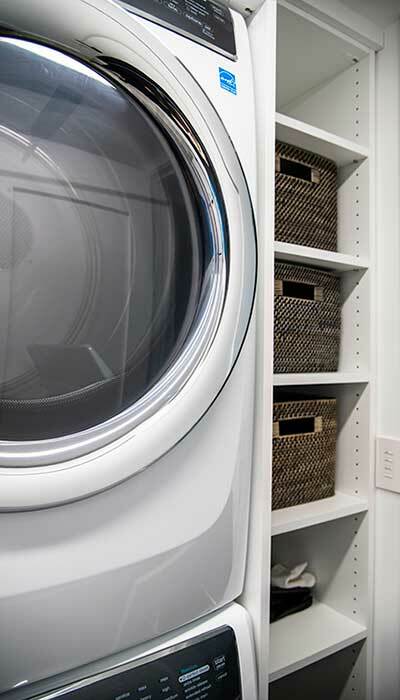 The tall, narrow cabinet between the washers and drayers sits in front of a load bearing basement post that supports the floor above it. 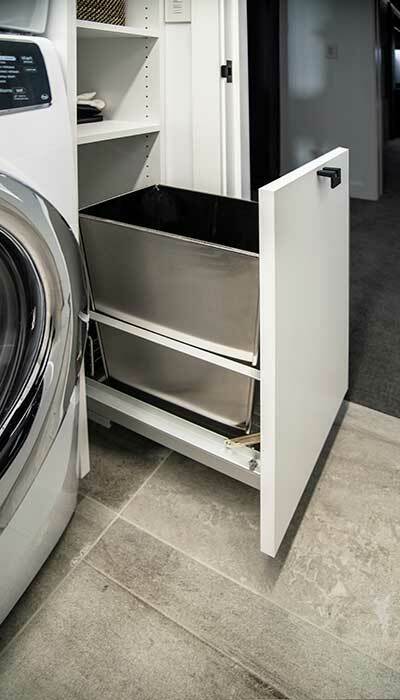 The cabinet provides storage for detergent, fabric softener and other laundry aides, while disguising the support structure. The cabinet is designed to be removable in the event that access to the post is ever needed. Furthermore, the laundry cabinets and drawers surrounding the sink area also used to hide basement pipes while providing storage. 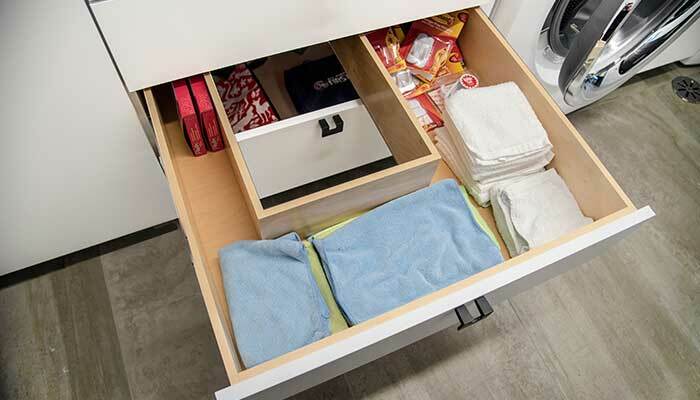 The owner preferred drawer storage over a more traditional cabinet under the sink area. This required the installation of custom cutouts in all three drawers in order to bypass the pipes under the sink. Bottom drawer of laundry room storage drawer with custom cutout for pipes. Middle drawer of laundry room storage drawer with custom cutout for pipes. 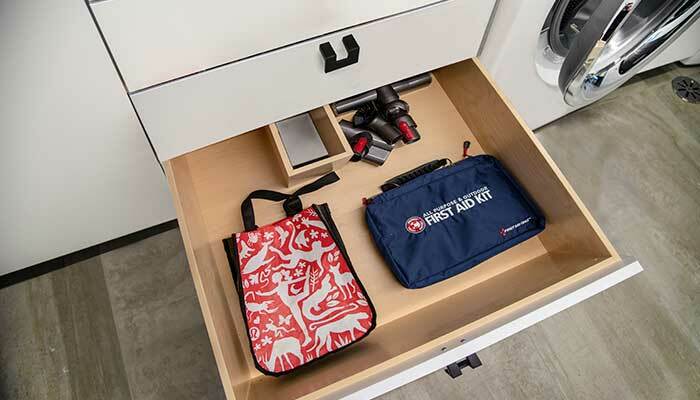 Top drawer of laundry room storage drawer with custom cutout for pipes. Tower style cabinet with shelving fits snuggly between sets of washers and dryers and in front of basement load bearing post. 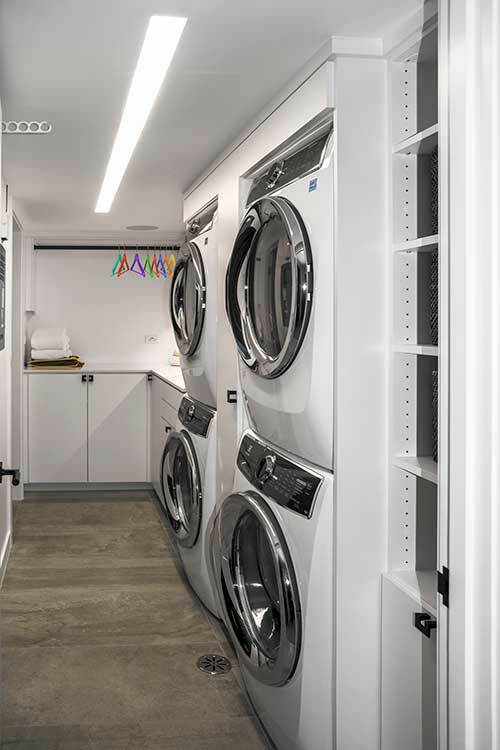 This laundry room design includes a pull-out trash bin. 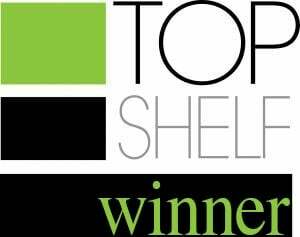 Laundry room design includes a tower of shelves shelves above the trash bin.